How to Care for Stainless Steel Appliances :: My Cleaners London - Only professional cleaning! 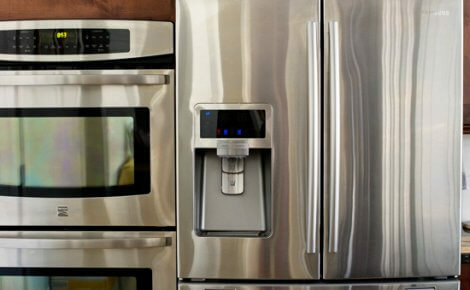 Caring for stainless steel appliances requires regular maintenance. Many of these appliances are manufactured with a clear lacquer coating that must be maintained according to the specifications of the manufacturer. However, you can simply and easily keep your stainless appliances looking brand new by taking the necessary precautions. Take out the manufacturer’s instruction manual for your stainless steel products before you start to clean them for the first time. Read through the guide to ensure that you are aware of any specific instructions that must be followed to maintain the surface luster. The guide will tell you which cleaning products are approved and which products should not be used at all. Fill your kitchen sink with warm water. Immerse your cleaning cloth in the warm water and squeeze out any excess liquid. Use the warm wet cloth to remove any dirt or residue from the surface of the appliance. Rub the cloth over the surface following the grain of the steel. For tougher residue, add a drop of gentle liquid detergent to your water before immersing the cleaning cloth. 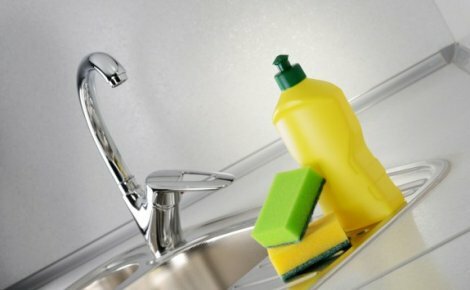 Be sure to completely rinse any detergent off the surface with clear warm water to prevent water spots from developing. Use a clean, dry, lint free towel to wipe the appliance surface in the same direction of the polish lines to remove any water residue and prevent mineral deposits from the water. Pour a small amount of vinegar into a bowl. Dip a clean cloth into the vinegar and then use the cloth to polish the surface and brighten its shine. Polish the steel in the direction of the steel grain. Thoroughly rinse off the vinegar with warm water. Baking soda can also be used to add shine. Put a sprinkle of baking soda onto a clean sponge and rub the steel gently. Rinse the area thoroughly with warm water to prevent any residue from remaining on the steel and causing possible problems. Stubborn marks and stains may seem difficult to remove. 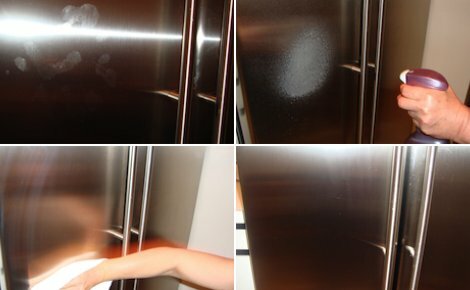 Use glass cleaner to remove finger and hand prints from stainless steel. Spray a small amount on a lint free cloth. Polish the surface in the direction of the steel grain to rub out any hand marks. Continue rubbing until the surface is shiny and all of the glass cleaner has been rubbed off of the appliance. Use stainless steel cleaner to reduce staining and scratching and increase the shine on the surface of your appliance, but be sure to follow the directions supplied by the manufacturer. Applying too much stainless steel cleaner or the wrong product can lead to eventual corrosion issues. High heat can lead to the appearance of staining on stainless steel, but heat stains can be removed with club soda. (Be sure to use a product that contains only club soda.) Wait until your appliance is cool before rubbing the soda onto the stain with a cloth. Follow the grain direction as you rub the stain and the soda off of the surface.